Know the chardham yatra package details from haridwar. Book Chardham Yatra for Badrinath Yatra, Kedarnath Yatra, Gangotri yatra and Yamunotri Yatra. Best Your package for rishikesh. Book Rishikesh tour package for River Rafting, Lakshmanan Jhula, Bharat Mandir, Triveni Ghat, Ram Jhula. Do Dham Yatra Package Revered as Do of the Char dhams, Kedarnath and Badrinath are extremely popular with tourits seeking spiritual salvation. Dada Boudir Tour & Travels (REGD.) in Haridwar is one of most famous and reliable tour and Travel operator in Uttarakhand. Being a most popular Travel agent in Haridwar, we organiased various packages tour based on popular lacations where visitor can enjoy their holiday and make a wonder journey. Dada Boudir Tour & Travels in Haridwar organize various Tour to Haridwar, Chardham, Garhwal Himalayas, Kumaun Hills, Shimla, Kullu Manali, Agra, Mathura, Vrindaban and Delhi. We provide car/taxi rental service at Haridwar. We arrange Honeymoon package in Uttarakhand, River Rafting in Rishikesh, Family package Trekking (Adventure Tour in Uttarakhand) also for group package for various tour in Uttarakhand, please contact us for any type of facilities regarding package tour. 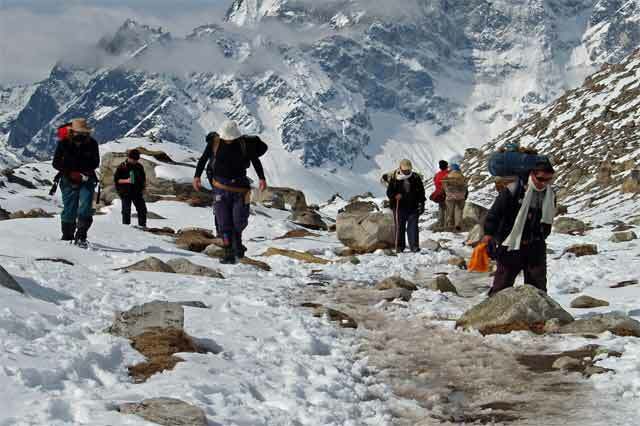 Trekking in the Himalayas : Trekking is a term which is derived under the concept of adventure Tourism. 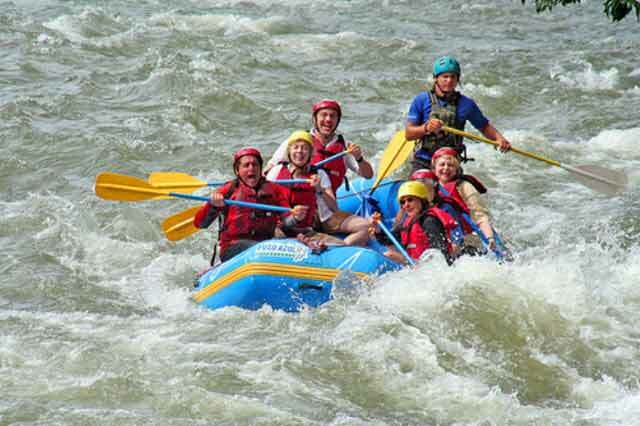 Camping and rafting are two major fun filled activities that are undertaken by tourists on the banks of the River Ganga. 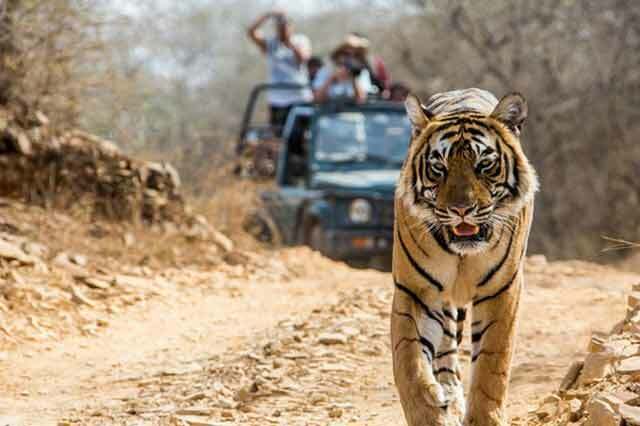 National parks and wildlife sanctuaries are oe of the prime feature of Uttarakhand. Feel the adventure with us. Uttarakhand is one of the most popular states among tourists. Uttarakhand tourism basically revolves around eco and pilgrim tourism. Destinations like haridwar, mussourie, kedarnath and many more are backbone of Uttarakhand tourism. Sightseeing at every destination of uttarakhand offers something new to you. We feel proud for being a part of tourism industry in Uttarakhand. The Doon Valley is situated between the two most important rivers of India. i.e. Ganga & Yamuna, is most picturesque having moderate climate, nestling a number of places of tourist interest. Haridwar or 'the Gateway to the Gods' is one of the seven holiest places according to Hindu mythology, as the Gods are believed to have left their footprints in Haridwar. Nainital is a famous tourist destination of India, attracting hundreds of both domestic and foreign tourists every year. It shines as a glittering jewel in the Himalayan Mountains and is surrounded with lakes and nature's bounty. The hill resort of Mussoorie is often referred to as the "Queen of the Hills". Any tourist who experiences the magic of the hill resort will but agree with the sobriquet. Best time to visit Uttarakhand is between March to June and September to October. During this Period of time weather conditions are at their best. These months are pleasant and balmy than the rest of the year. The primary characteristics of the Uttarakhand cuisine is that milk and milk based products is sparingly used here. Coarse grain with high fibre content is very common in Uttarakhand cuisines. Uttarakhand is one of the mesmerizing states of India due to various tourist spots and it has been referred to as THE LAND OF GOD (DEV BHUMI) due to the presence of many holy temples in its vicinity. We don't have any other branches in entire UTTARAKHAND.